Claims 5 million businesses have "gone Google"
Can Google Drive compete with other cloud business services? During the second day of the Google IO 2012 extravaganza, the search giant revealed that their current stable of cloud services will be revamped to better compete in the realm of business-focused cloud computing services from Amazon, Microsoft and Oracle. Google SVP of Chrome and Apps Sundar Pichai took the stage to introduce some of Google Drive's new functions, claiming that five million businesses, government agencies in 45 states, and 66 of the US's top universities have already "gone Google." Pichai called the new Google Drive functionality a "radical" change from existing offerings. A video showed off Google Hangouts, saying "The meeting has gone Google." Google also showed off new real-time collaboration and offline use for Google Docs. Google Director of Product Management Clay Bavor then took the stage to announce that Google Drive would be heading to iOS and Chrome OS. He showed off new image search functionality, by which Drive recognized an image of a pyramid. A new Google cloud service was rumored over the weekend, when multiple sources reported that Google was readying an announcement for the Google IO 2012conference this week. Can Google Drive overtake the competition? 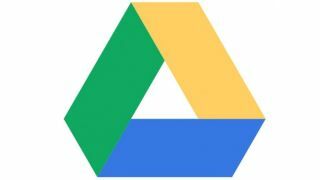 Google Drive's new functions will enhance existing offerings like Google Docs and Google Hangouts. In addition, Google discussed ongoing support for third-party Google Drive apps like Lucidchart, HelloFax and SlideRocket. But Google's expanded Google Drive services still may not be enough to compete with other services that focus on cloud computing for businesses. Amazon's main advantage in the field of cloud services is its robust framework, which allows the most open-source compatibility. Microsoft, meanwhile, has the same advantage they still hold with Internet Explorer; they've been around the longest, and plenty of businesses already rely on them. Oracle, who announced earlier this month that they'd be entering the competitive cloud fray, has what CEO Larry Ellison called "the most comprehensive Cloud on Earth," and he may be right. Check out TechRadar's comparison of existing cloud services from earlier this year. Google Drive has plenty of appeal, but Google has a lot of work to do if it's going to compete in the realm of cloud services for businesses.